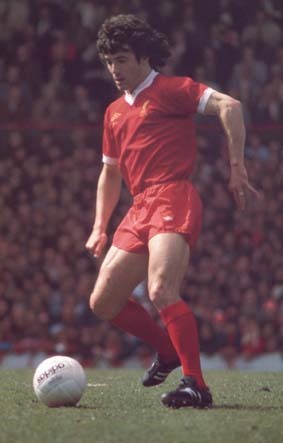 Bill Shankly's 35,000 pounds swoop for Keegan from Scunthorpe in May 1971 proved one of the shrewdest transfer moves ever. 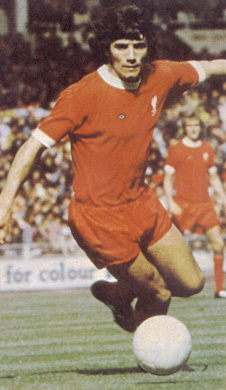 He was signed as a midfielder and potential replacement for long-serving Ian Callaghan. 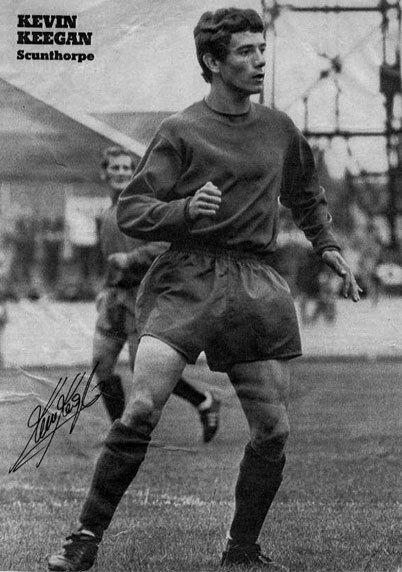 But Keegan's sparkling display up front in a pre-season practice match persuaded Shankly to plunge him into his debut alongside John Toshack in attack at the start of the 1971-72 season. Keegan scored after just 12 minutes, Liverpool beat Nottingham Forest 3-1 and another epoch in Anfield history had begun. The confident recruit, born in Armthorpe near Doncaster, hit big-time football like a whirlwind. He swiftly won England under 23 recognition with the first of 63 full caps coming within 18 months as he soared to pop star status. 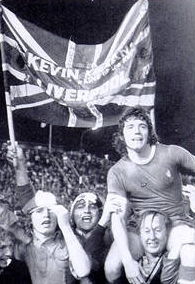 His potent, trophy-capturing alliance with Toshack became feared throughout England and Europe before Keegan joined Hamburg for 500,000 poundsin 1977, going on to become European Player of the Year twice. He scored 100 Liverpool goals and said farewell by helping to win their first European Cup with a 3-1 conquest of Borussia Moenchengladbach in Rome. Later he played for Southampton and Newcastle - whom he also managed - received an OBE and in 1999 became England manager. 08/06/77 v Brazil (A) D 0-0 (F), 12/06/77 v Argentina (A) D 1-1 (F), 15/06/77 v Uruguay (A) D 0-0 (F) 07/09/77 v Switzerland (H) D 0-0 (F), 16/11/77 v Italy (H) W 2-0 (WCQ) 1 goal, 22/02/78 v W.Germany (A) L 2-1 (F), 19/04/78 v Brazil (H) D 1-1 (F) 1 goal, 24/05/78 v Hungary (H) W 4-1 (F), 20/09/78 v Denmark (A) W 4-3 (ECQ) 2 goals, 25/10/78 v Rep.Ireland (A) D 1-1 (ECQ), 29/11/78 v Czech (H) W 1-0 (F), 07/02/79 v N.Ireland (H) W 4-0 (ECQ) 1 goal, 23/05/79 v Wales (H) D 0-0 (HC), 26/05/79 v Scotland (H) W 3-1 (HC) 1 goal, 06/06/79 v Bulgaria (A) W 3-0 (ECQ) 1 goal, 10/06/79 v Sweden (A) D 0-0 (F), 13/06/79 v Austria (A) L 4-3 (F) 1 goal, 12/09/79 v Denmark (H) W 1-0 (ECQ) 1 goal, 17/10/79 v N.Ireland (A) W 5-1 (ECQ), 06/02/80 v Rep.Ireland (H) W 2-0 (ECQ) 2 goals, 26/03/80 v Spain (A) W 2-0 (F), 13/05/80 v Argentina (H) W 3-1 (F) 1 goal, 12/06/80 v Belgium (N) D 1-1 (EC), 15/06/80 v Italy (N) L 1-0 (EC), 18/06/80 v Spain (N) W 2-1 (EC), 25/03/81 v Spain (H) L 2-1 (F), 30/05/81 v Switzerland (A) L 2-1 (WCQ), 06/06/81 v Hungary (A) W 3-1 (WCQ) 1 goal, 09/09/81 v Norway (A) L 2-1 (WCQ), 18/11/81 v Hungary (H) W 1-0 (WCQ), 23/02/82 v N.Ireland (H) W 4-0 (HC) 1 goal, 29/05/82 v Scotland (A) W 1-0 (HC), 03/06/82 v Finland (A) W 4-1 (F), 05/07/82 v Spain (N) D 0-0 (W.Cup) sub. Форвард, любящий забивать - Eженедельник "Футбол-хоккей" № 34 1977 г. - интервью с Кевином Киганом по оканчанию сезона летом 1977 г.